This garment rack is ideal for extra storage and hanging space. With extendable height you can hang all clothing without worrying they will reach the floor. 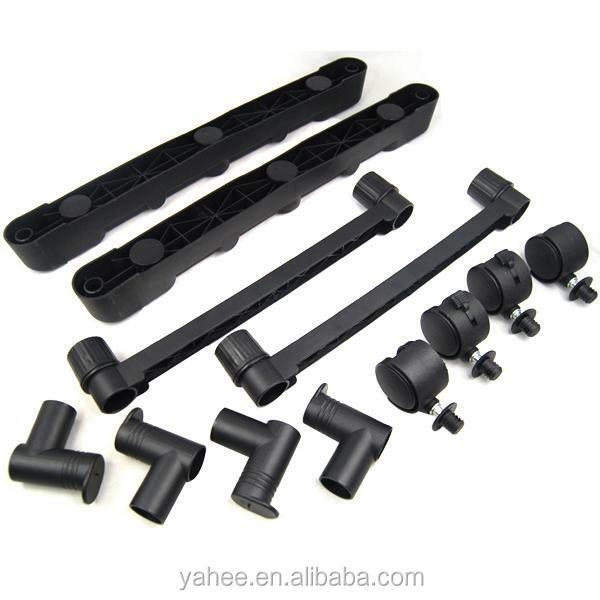 This product also has an integrated shoe rack for extra storage. 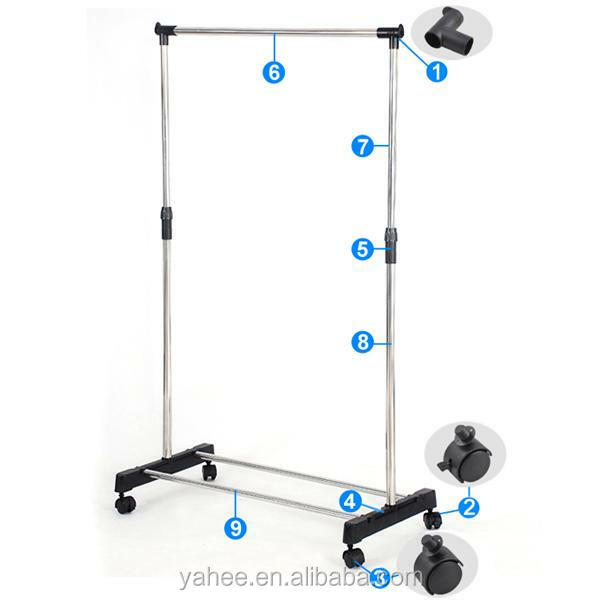 It also has casters so it is easy to move without removing clothes from the rail. 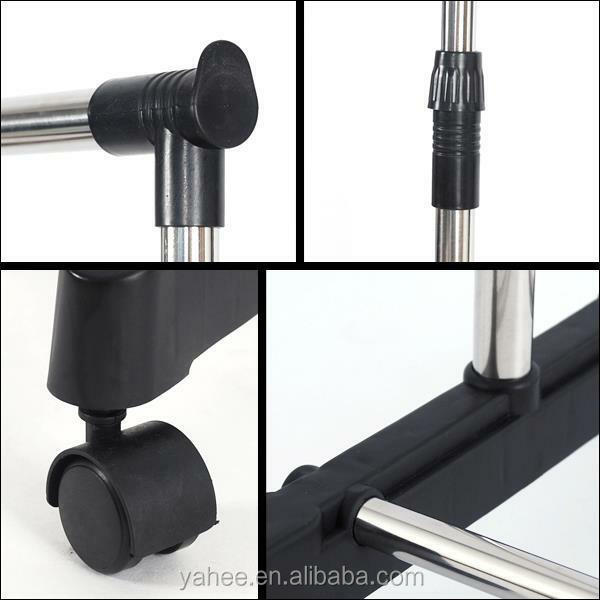 This garment rack offers a phenomenal value with swivel casters and easy assembly. Whether seeking additional permanent closet space or you need a coat rack for a dinner party, this unit will suit your needs. 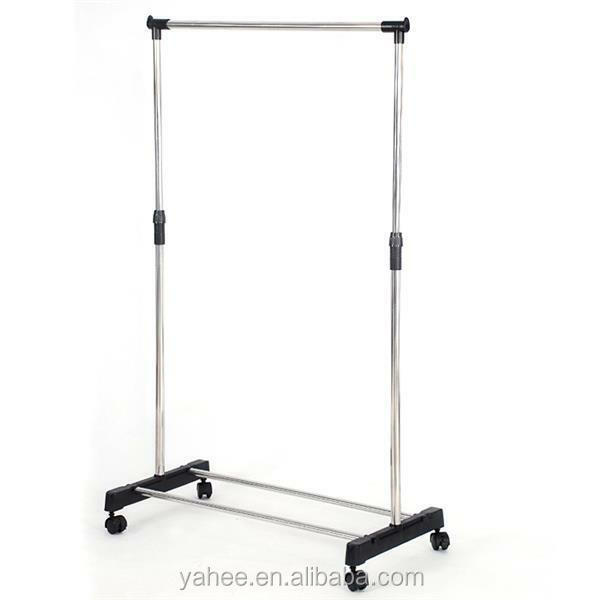 This Portable Garment Rack goes from room to room on smooth rolling swivel casters. 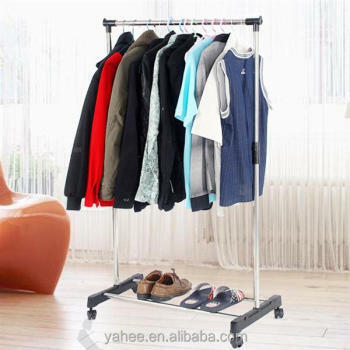 Use this rolling garment rack for additional clothes storage space, a coat rack, or as a closet in the guest room.